“SculptureX 2018 — Social Practice: Igniting Change” is a two-day symposium for artists, educators, students, arts administrators, collectors, patrons and arts enthusiasts. It will be held Friday and Saturday, Sept. 28-29. The symposium will be presented through the collaborative effort of The University of Toledo, Bowling Green State University, Contemporary Art Toledo, Owens Community College and the Toledo Museum of Art. SculptureX is an annual symposium convened by academic institutions in western Pennsylvania, Ohio, Michigan, Indiana, Kentucky, West Virginia and western New York. This year, the symposium will be held at the UT Center for the Visual Arts, the Toledo Museum of Art and Bowling Green State University’s School of Art. Now entering its ninth year, SculptureX (sculpture exchange) is intended to encourage and foster the intellectual pursuit of compassionate thinking, while discovering new forms and definitions of visual communication and understanding. This year’s symposium will explore social practice in art, a discipline that critically and explicitly challenges existing social norms and conditions. Social practice is frequently expressed through community engagement, performative installations, political encounters and environmental activities. SculptureX 2018 will investigate current manifestations of this important field. 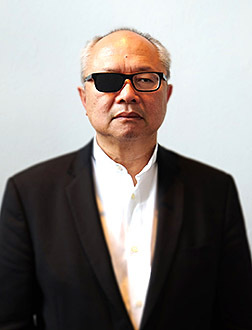 The keynote address for the symposium will be delivered by Mel Chin, an internationally acclaimed artist known for his use of sculpture, video and land art, among other mediums, to spread political awareness and expose social injustice. Chin’s appearance in Toledo comes on the heels of a groundbreaking multi-site exhibition in New York titled “All Over the Place.” His sculpture, “Two Me,” is on display at the Toledo Museum of Art’s Monroe Street entrance. A second keynote address will be delivered by Laurie Jo Reynolds, an award-winning artist, policy advocate, and researcher who has dedicated two decades of work to addressing the negative representations of people in prison. 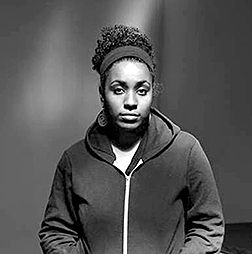 The UT Department of Art is hosting an exhibition of the work of artist and symposium presenter Jova Lynne. She is displaying “Soft Thrones,” a portion of her larger body of work titled “Sites of Power,” in the UT Center for the Visual Arts through Saturday, Oct. 27. A reception with Lynne will take place in the Center for the Visual Arts Friday, Sept. 28, from 4:30 to 6 p.m. Lynne will speak at 2 p.m. Saturday, Sept. 29, in BGSU’s Wolfe Center Auditorium. Shanna Merola, a visual artist, photojournalist and activist legal worker, will speak Saturday, Sept. 29, at 3 p.m. in BGSU’s Wolfe Center Auditorium. She also coordinates legal support for grassroots organizations through the Michigan Chapter of the National Lawyers Guild. Merola will speak about know-your-rights best practices during police encounters. Additional programming for the two-day event includes six exhibitions, presentations by noted artists, evening networking events, and guided tours of the Toledo Museum of Art, UT Center for the Visual Arts, and Bowling Green State University’s Dorothy Uber Bryan Gallery. The cost of attending the event is $15 general admission and $10 for students. The fee covers admission to most symposium events, exhibits and receptions; however, there is a separate $10 admission to attend the SX Party Friday, Sept. 28, from 7 to 9 p.m. in the Secor Building, 425 Jefferson Ave. in Toledo. For complete details and to register for SculptureX 2018 and/or the SX Party, visit catoledo.org/sculpturex. This entry was posted on Friday, September 21st, 2018 at 3:19 am and is filed under Arts, Arts and Letters, Events, UToday .